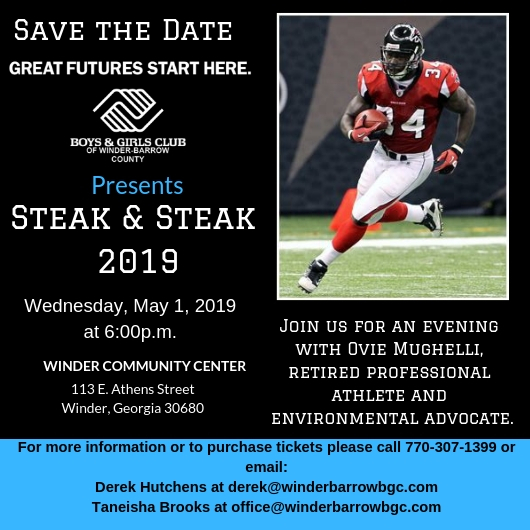 The Boys and Girls Club of Barrow County is hosting their annual Steak & Steak Dinner, Wednesday, May 1st at 6:00pm. Former Atlanta Falcon, Ovie Mughelli, will be the keynote speaker. 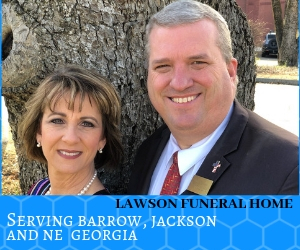 Get your tickets at 770-307-1399.